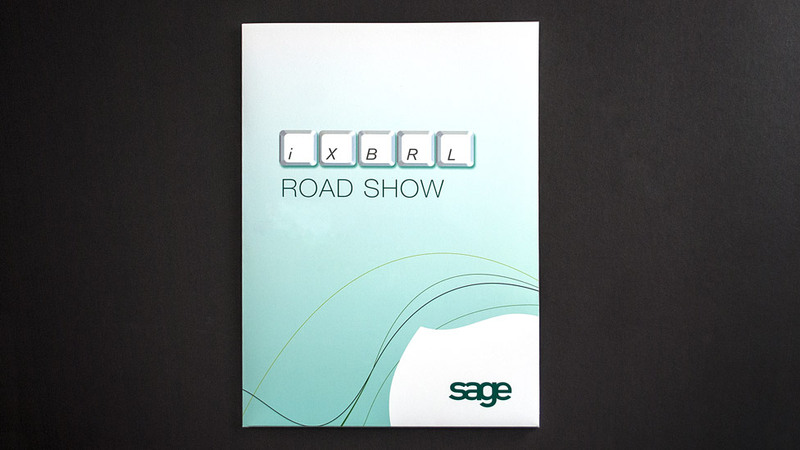 A nationwide conference roadshow to present Sage’s iXBRL compliant software required a practical and clean conference folder design. Initiated by changes to the legislation regarding filing of online accounts, Sage developed a range of iXBRL compliant software. To demonstrate the software to their audience, they asked us to organise and manage a city conferences roadshow throughout the UK. 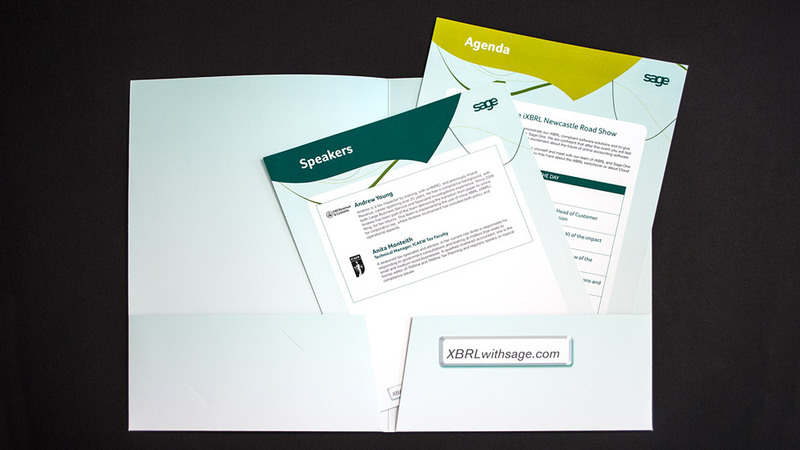 Part of the project required a conference folder design to inform attendees of the agenda, provide profiles of the speakers and promote the Sage iXBRL brand. Working closely within the Sage brand, we developed a conference folder with a useful double pocket on the inside. One side to hold the conference literature, and the other side delegates could use for their own information. The left-hand pocket also contained slits for business cards. Two loose-leaf sheets were collated into the folder – one detailing descriptions of the speakers, the other listing the agenda for the day. Designing and trimming the two inserts to different heights, we created a staggered format allowing both inserts to sit comfortably within one pocket of the folder, allowing readers to see the information they needed quickly.